OIL shares continue to post yearly highs, despite marginal US storage lift. Robust speculative positioning persists, advancing for the sixth consecutive week. Surprising macro developments and strong OPEC+ output cut delivery bring risk-on dynamics, which will likely propel OIL to new yearly highs. In my last note on OIL, I expected a pullback of OIL shares given looming recession signs. Since then and despite a build in US crude storage, OIL's bullish trend persisted, advancing for the fourth consecutive week and posting new yearly highs. In that vein and thanks to robust net long positioning on crude contracts, higher than expected OPEC+ production curb, and a surprising uptick of economic data in China contributed to improve the macro backdrop of OIL. This has strengthened my bullish view and I expect OIL shares to continue on this trend in the coming week. As you may know, the iPath S&P Crude Oil Total Return Index (NYSEARCA:OIL) is a proxy of American crude oil benchmark, West Texas Intermediate (WTI), which replicates the performance of its underlying index, the S&P GSCI Crude Oil Total Return Index. 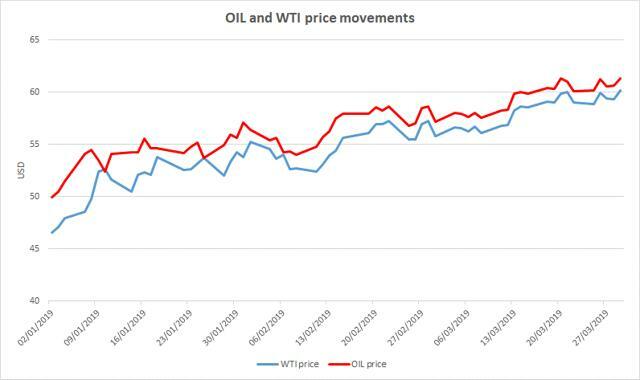 As you can see below, the movements of OIL and WTI are highly correlated since OIL seeks to replicate the returns of an unleveraged investment in WTI crude oil futures contract. Furthermore, the daily performance of the ETN might significantly differ from that of its index, due to the future rolling strategy of the instruments and the incurrent costs. 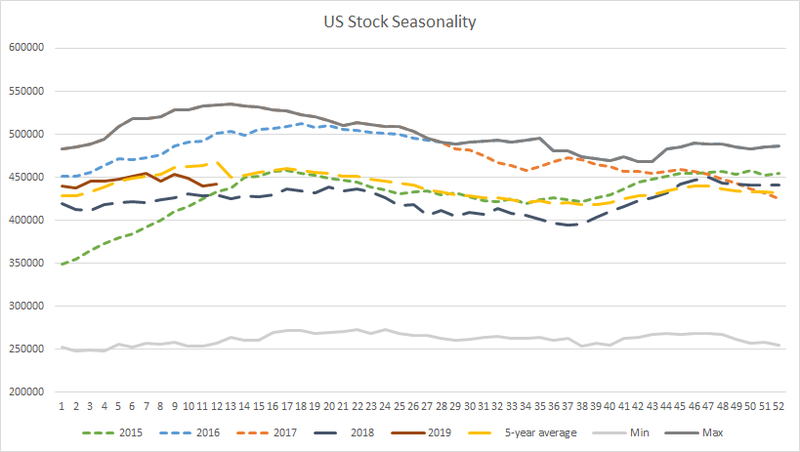 Since my last publication, crude oil stocks lifted marginally on the March 15-22 period, up 0.64% (w/w) to 442.3m barrels, while Cushing inventories advanced stronger, up 1.17% (w/w) to 46.9m barrels, according to the Energy Information Administration (EIA). 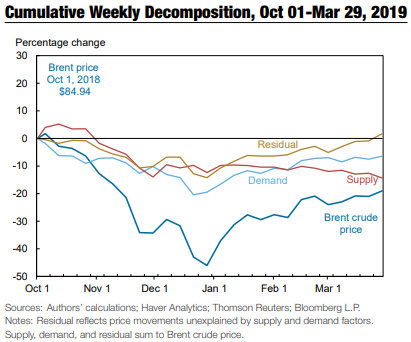 Despite these concomitant storage builds, crude oil deficit in the US extends to 5.5% or 25,905k barrels compared to the five-year average but remains in a slight surplus compared to last year's levels, up 2.9% or 12,334k barrels. This contributes to marginally support crude oil futures and its proxy, OIL. On the refining side, demand for refined petroleum products remains high. Indeed, American gasoline and distillate stocks declined for the second consecutive week, down 1.19% (w/w) to 238.6m barrels and 1.57% (w/w) to 130.2m barrels, respectively, progressing both below the 5-year threshold. 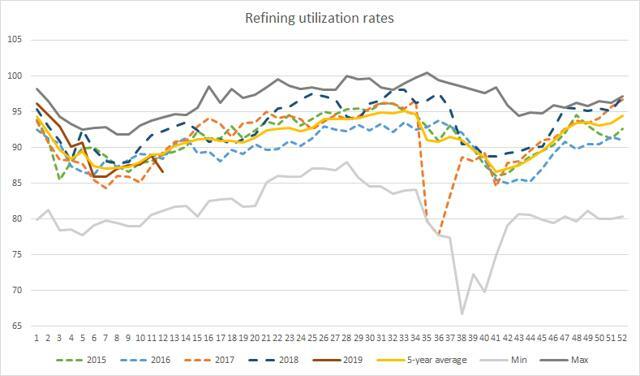 Slower than normal refining utilization rates might partly explain this, along with freezing US imports from Venezuela which plummeted to zero from 112,000 barrels per day a week earlier, EIA shows. That could impact negatively US crude output, given that heavy crude is essential for American refiners to blend their production. 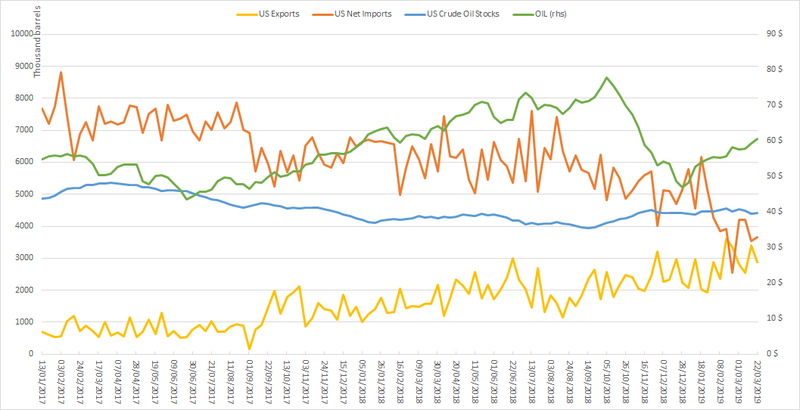 Concomitantly, American oil production steadied at 12.1m barrels per day on the reported period, while US oil balance deteriorated slightly on the back of weakening oil exports, down 14.92 (w/w) to 2.89m barrels and lifting net imports, up 3.22% (w/w) to 3.65m barrels. Besides, the number of online oilrigs dipped significantly for the second consecutive week, down 10 additional rigs on the March 22-29 period, following slowing economic activity anticipations and dipping expected demand from refiners, which find it harder to sourcing heavy crude. This should impact adversely American oil output and, therefore, somewhat sustain OIL shares. That being said, recent US crude and refining storage developments continue to sustain OIL shares and its underlying, crude oil futures. Since my last post, OIL shares climbed 1.96% (w/w) and reached a yearly high of $61.31 per share. During the week, non-commercial investors continued to lift their net long positioning on Nymex crude oil for the sixth consecutive week, up 8.17% (w/w) to 448,619 contracts, on March 19-26 period, according to the Commitment of Traders report (COTR). In the meantime, OIL shares advanced alongside, up 1.58% (w/w) to $61.22 per share. The renewed interest for the black commodity is induced by the recent improvement of oil's backdrop and given latest fundamental developments, I expect speculators to continue to sustain crude markets and OIL shares. Net long bet progress is mainly due to robust long positioning advance, up 4.86% (w/w) to 560,552 contracts and is boosted by vigorous short coverings, down 6.58% (w/w) to 111,933 contracts. 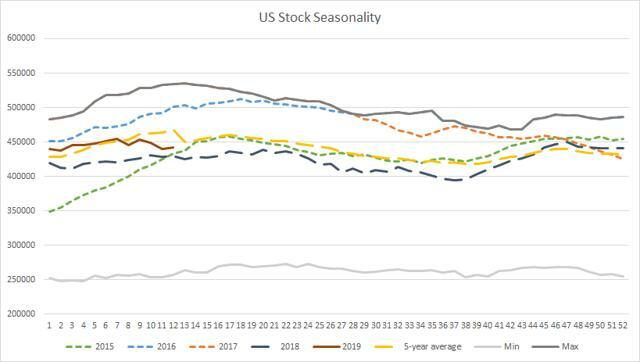 With the persisting net long accruals, investor's bullish sentiment is on the brink of reaching records not seen since the end of 2018 when OIL was close to reaching $80 per share. Since the beginning of the year, net speculative length significantly supported OIL's advance, skyrocketing 61.83% or 171,408 contracts, whereas the ETNs' YTD performance advances 18.94% to $61.22 per share. 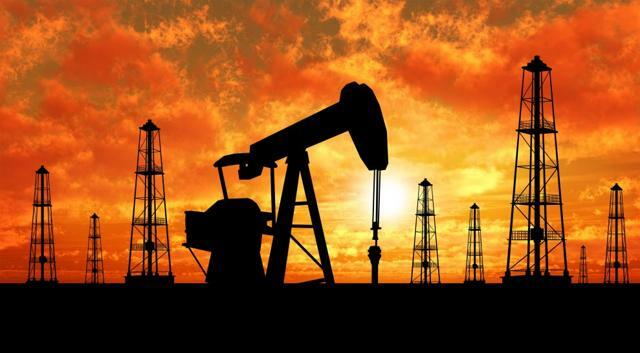 In my last article published on March 26, I anticipated an OIL pullback, given growing signs of a looming economic slowdown. Since then, the macro environment became friendlier. On the one hand, the Saudis delivered higher than expected output cuts in March aimed at balancing global markets and adverting a new oil glut; second, the unexpected uptick in Chinese manufacturing data and advances in US-China trade talks sent markets into a risk-on dynamic, which is a benefit for OIL's advance. In front of that and despite strong American crude output, demand for oil continues to surprise investors positively. 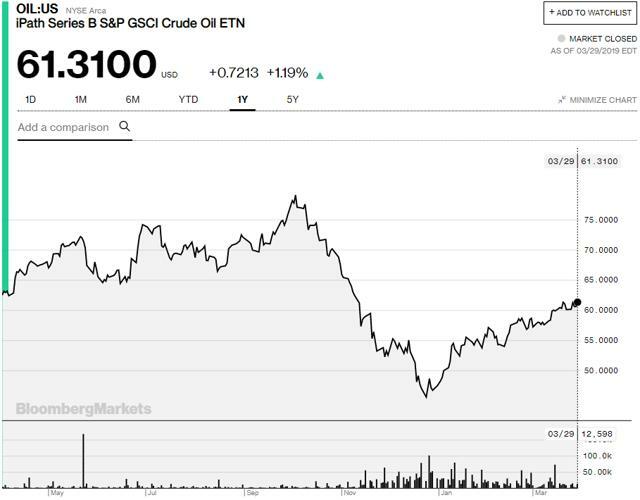 Indeed, thanks to strong OPEC+ production curb deliveries and harsher US sanctions on Venezuela's crude exports, crude oil markets are finally showing undersupply signs. In this context, characterized by marginal crude inventory builds, robust net long speculative positioning, and a friendly macro backdrop for oil, I expect OIL shares and crude oil futures to retest newer yearly highs. In line with recent fundamental developments, I am bullish on OIL. Disclosure: I/we have no positions in any stocks mentioned, but may initiate a long position in OIL over the next 72 hours. I wrote this article myself, and it expresses my own opinions. I am not receiving compensation for it (other than from Seeking Alpha). I have no business relationship with any company whose stock is mentioned in this article.